Are you sure this is what you're looking for? try and be a bit more user friendly will you? 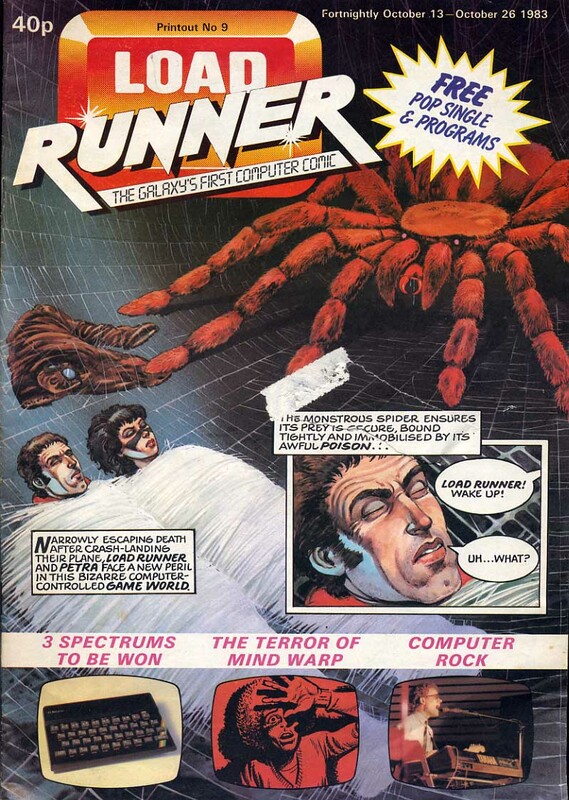 Following on directly from the cover, this strip appears to be called ‘Load Runner’ (must’ve taken hours to come up with that one…). 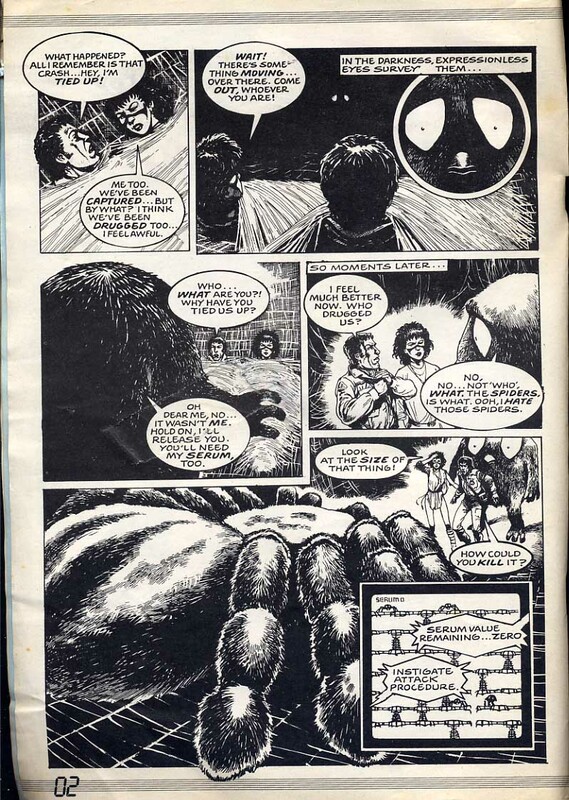 Load Runner and Petra are trapped a cocoon of silk produced by a terrifying giant spider. Luckily their giant fluffy companion [Q*Bert perhaps?) comes to the rescue. I particularly like the inset image from the 'real' computer game - it seems to be some sort of Space Panic clone. save me strange floating ball with eyes, you're my only hope! 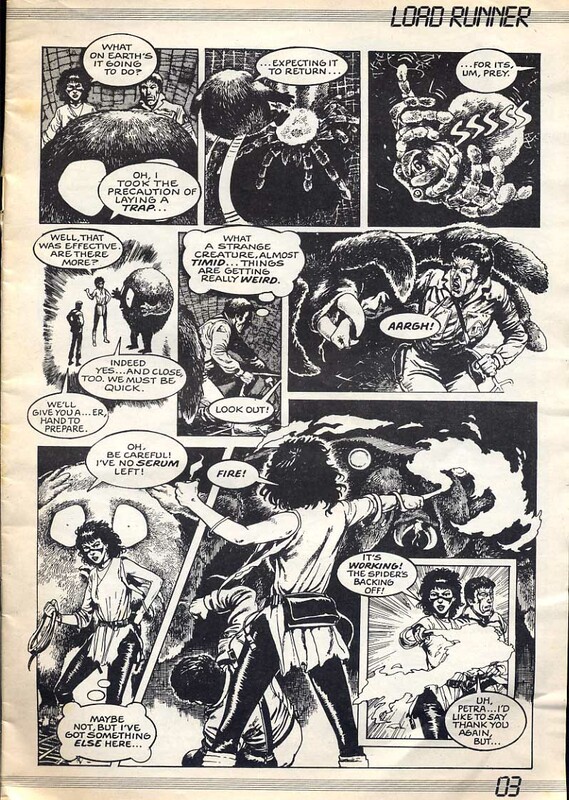 What the hell is Jonan Jett doing fighting giant spiders?! “The Galaxy’s First Computer Comic” it proudly boasts here on the front cover. A rather difficult statement to confirm or deny, given our rather limited knowledge of anything much further than a few thousand miles from our little planet. Still Load Runner does a decent enough job of trying to make comic strips out of crappy 80s 8-bit videogame concepts. There was a hell of a lot more ‘suspension of disbelief’ required when playing games in the 80s.